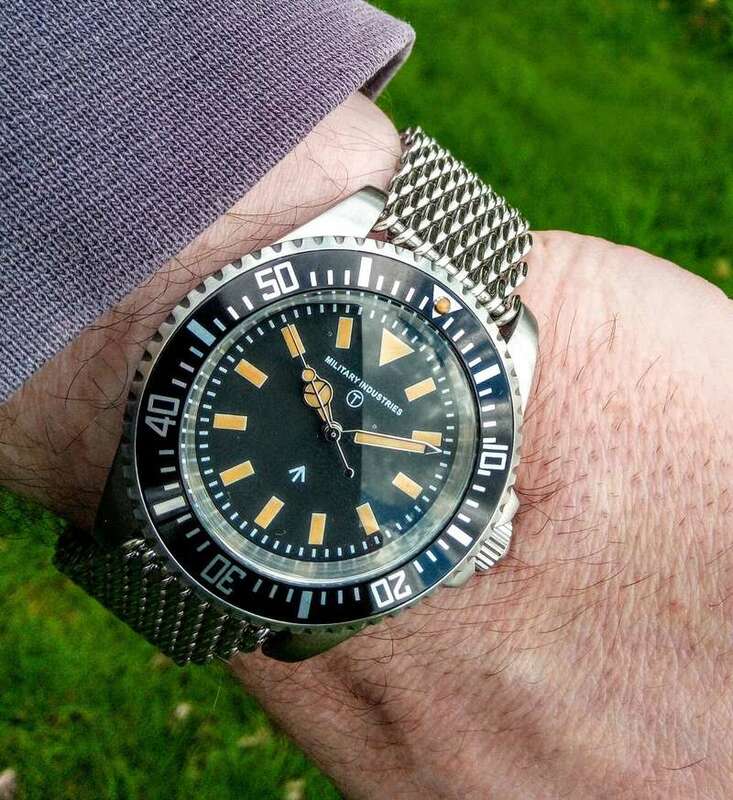 » Thursday 11 April 2019.
its clearly not a real military watch, but it is IMO a very good looking watch, i dont normally like the Mercedes hands as they seemed to be used by every manufacturer these days, but i think they work here especially with the Faux aged lume which glow very brightly for hours. 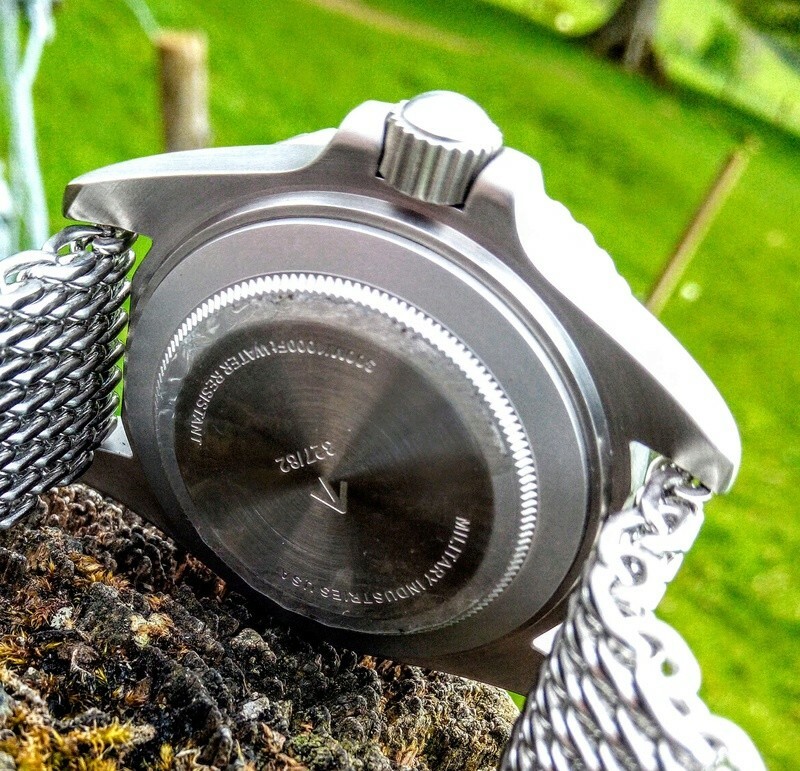 the watch came supplied with 2 Nato straps which i dont like so was swapped onto a mesh right away and its now a very comfy and unobtrusive watch which looks great and keeps superb time, the build quality is on a par with watches costing £150 plus. 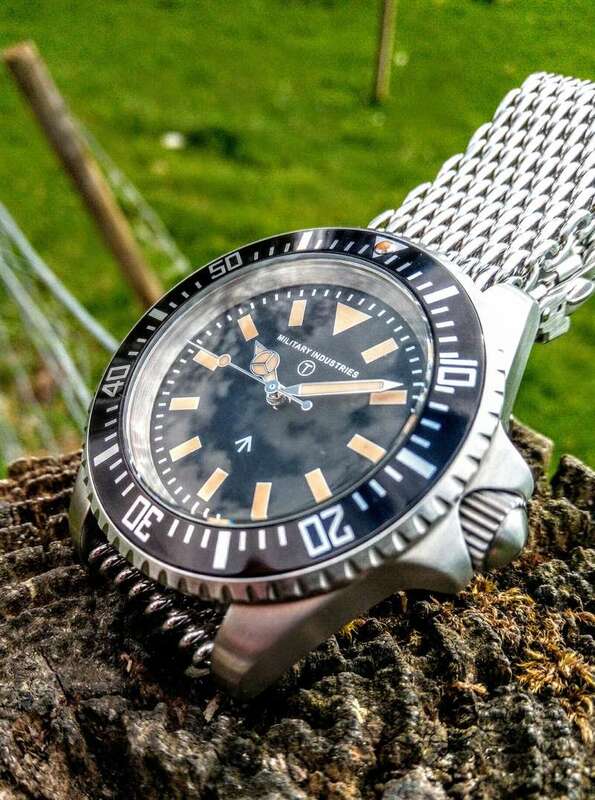 That is stunning, what a beautiful watch. The bezel is perfectly proportioned for the dial & I love the Mercedes hands and faux aged lume. 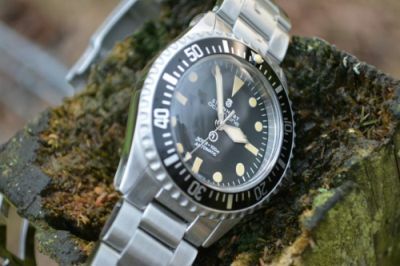 It really gives the watch a great vintage look but with the advantage of being in brand new pristine condition which can’t always be expected with vintage watches. 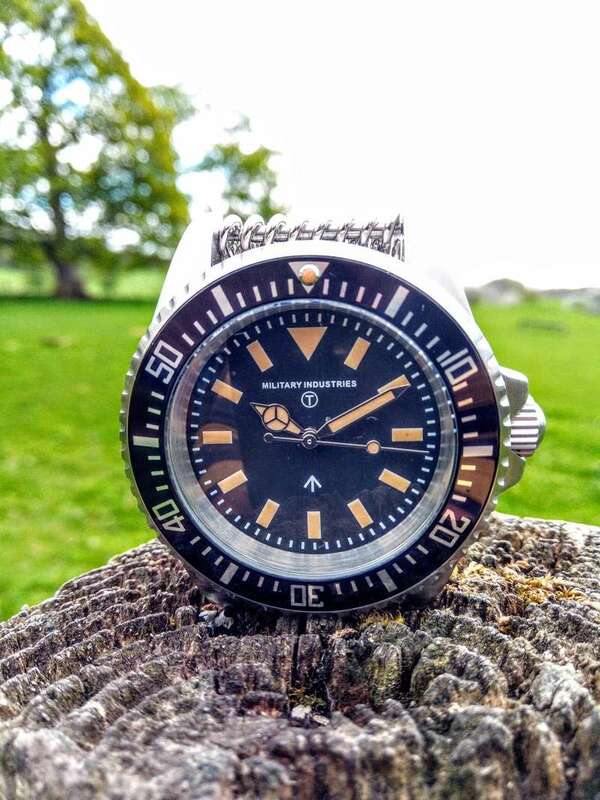 One I think deserves plenty of wrist time though as I have said before it must be increasingly harder to do with the regular flow of lovely watches being added to your collection.